Singapore will always have a special place in my heart. How can I forget July 23, 2012 at 12 midnight. The beautiful Lantern Rooftop Bar at Fullertone Bay Hotel Singapore and a breathtaking view of Marina Bay Sands witnessed this special occasion of our lives. It was the day he asked me to marry him. I'm so lucky that I got to celebrate my birthday at the Ambassador's residence in Singapore in Nassim Road. Hubby and I visited our auntie, who was then our Philippine Ambassador to Singapore. They prepared fantastic Filipino and Singaporean dishes. After the lunch with the diplomats (naks!) 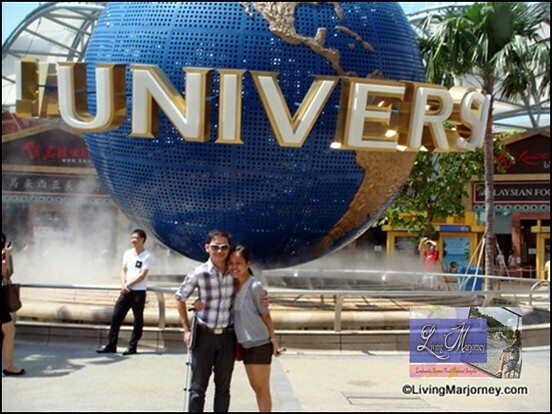 we made it to Universal Studios Singapore in the afternoon. We spent the whole afternoon enjoying the rides, our favorite is the Transformers The Ride. 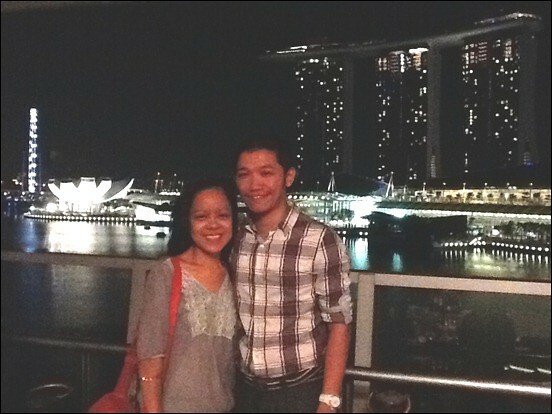 We decided to have dinner at Vivo City and made sure to be at Clarke Quay at 9pm. He was planning to take me to a river cruise in Marina Bay but we missed the last trip so instead we went at Lantern Rooftop Bar to see a breathtaking view of Marina Bay Sands at night. We got the one-day pass at Universal Studios Singapore. Some of my favorite attractions includes the Far, Far Away, the Ancient Egypt, New York and Sci-Fi City. We love the Transformer The Ride so much. Of course, we took lots of photos in front of the Universal Studios globe. 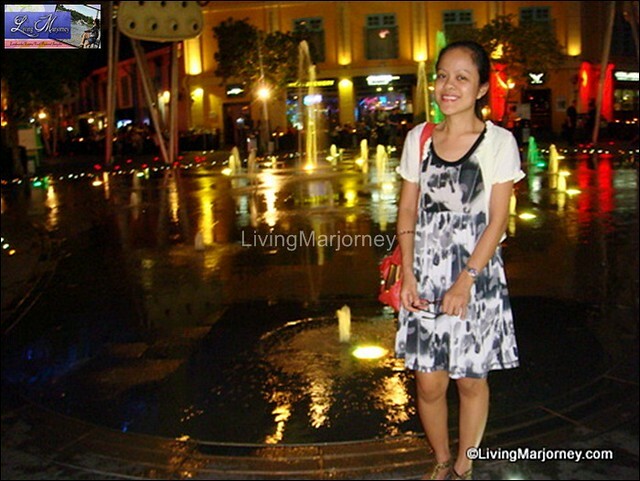 We were at Clarke Quay on our first night but hubby wanted us to go back the next day. Our meal comprises of a pasta dish and salmon. We took a cab going to the Lantern. I was feeling uneasy because of my get-up wearing shorts (just because the weather was hot and we spent the whole day at the park) but hubby reassured that it was okay. 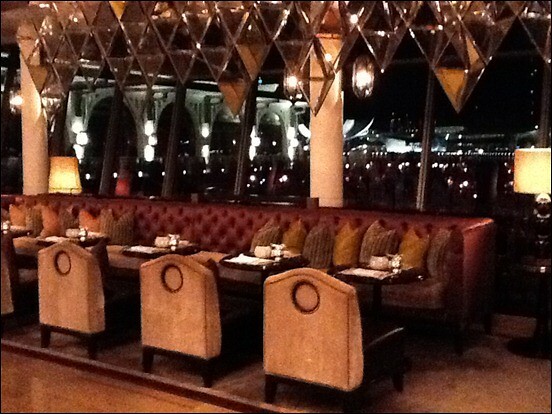 The place was gorgeous and classy. 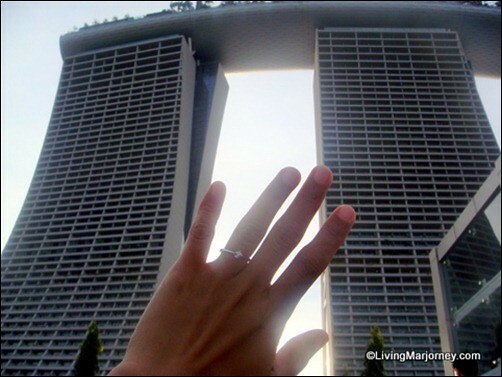 They have this infinity pool but most of all, Lantern Rooftop provides a great view of Marina Bay Sands. I also met a fellow Filipina who's working at the restaurant. She even took our photo, the one one we had because all our gadgets were drained after Universal Studios. The next day we visited Gardens by the Bay and enjoyed a cup of Singaporean coffee. In the evening, I would walk barefoot going to a nearby convenient store for midnight snacks. I love how the city was so clean and secured. It was nice to think about his wedding proposal in Singapore in 2012. Since then we haven't visited the country but who knows we might be flying to Singapore soon. 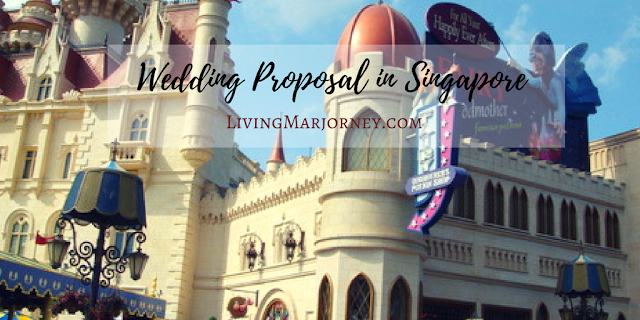 Do you have memorable or romantic stories in Singapore? I would love to hear them.